Frank Lloyd Wright‘s George Sturges House, owned by actor and playwright Jack Larson, will be auctioned on 21 February, 2016, for an estimated $2.5 million to $3 million. It is among 75 lots from the estate owned by Larson to be sold after the actor passed away in September. The residence, designed in 1939, was the first Usonian house on the West Coast and was acquired by Jack Larson and Jim Bridges in 1967. Frank Lloyd Wright designed the George Sturges House in the same period as the iconic Fallingwater. This era was dominated by interest in the engineering side of architecture-structural solutions for cantilevering in particular. 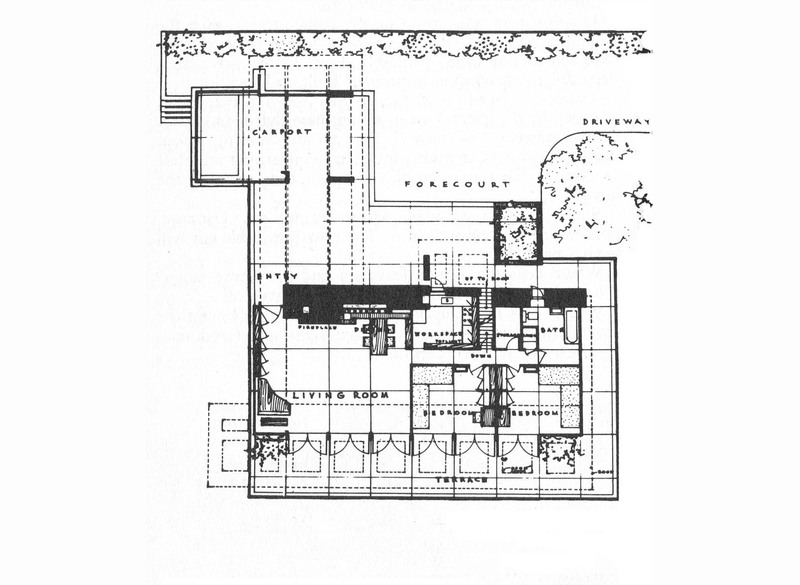 At the same time, Wright was developing his “Usonian” concept, which aimed to bring modern architecture to the American middle class and create a national style that grew from the Prairie style homes. Low roofs, open living areas, small size and the use of natural materials characterize the Usonian house. George Sturges House is small-only 1,200 square feet-and is ideal for single people and couples without kids. It offers great views of the ocean and Catalina. Related: Frank Lloyd Wright-Designed Massaro House and Private Island For Sale in NY! Not every house by Frank Lloyd Wright is a masterpiece, but the Sturges House is a one that is just that. Frank Lloyd Wright's George Sturges House, owned by actor and playwright Jack Larson, will be auctioned on 21 February, 2016, for an estimated $2.5 million to $3 million. It is among 75 lots from the estate owned by Larson to be sold after the actor passed away in September. The residence, designed in 1939, was the first Usonian house on the West Coast and was acquired by Jack Larson and Jim Bridges in 1967.